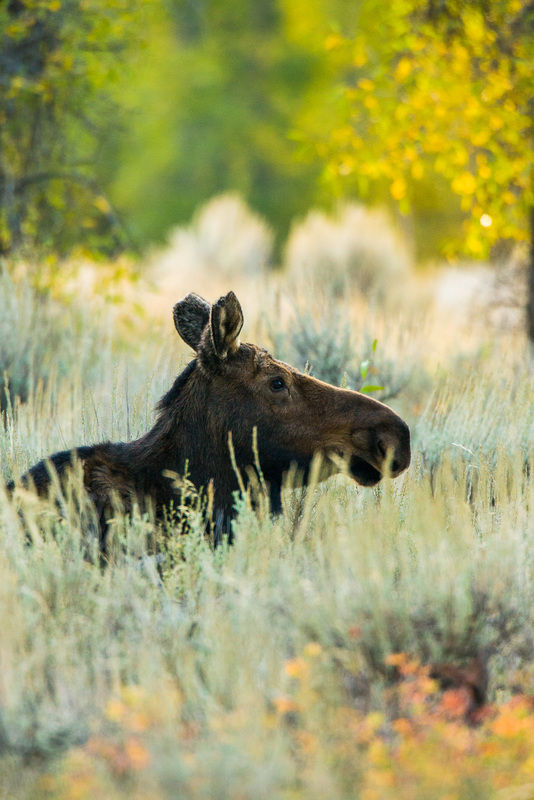 Mother moose relaxes in the shade of cottonwood trees among sage brush. Autumn in the Grand Teton's brings a variety of beautiful colors with over 1000 species of plants. Photo © copyright by Lance B. Carter.